Choosing to go on a private fish/snorkel combo charter is a great idea for those wanting to get a unique Florida Keys experience. And the coolest part about this type of charter is that it is 100% customizable and very carefree. If you want to spend more of your time snorkeling and maybe try and squeeze some fishing in there we can do that and vice versa. Here at Tailing Water Expeditions we provide all of the gear and licensing necessary to have a fun day out on the water. If you truly want a unique experience stay away from the party boats and book a private charter. It will be worth it. Commercial party boats crowd a bunch of people onto a boat and bring them to the same spot every day no matter the water clarity or the person’s experience. Water clarity will vary and the seas can get rough in some of the popular snorkeling areas. Our boat can get into areas where the water will be cleaner/calmer and make a world of difference. Is This Your First Time Snorkeling or Not Very Experienced? This is where booking a private snorkeling charter is highly beneficial. Based on your comfortability and experience we can make your snorkeling trip a lot of fun for everyone. 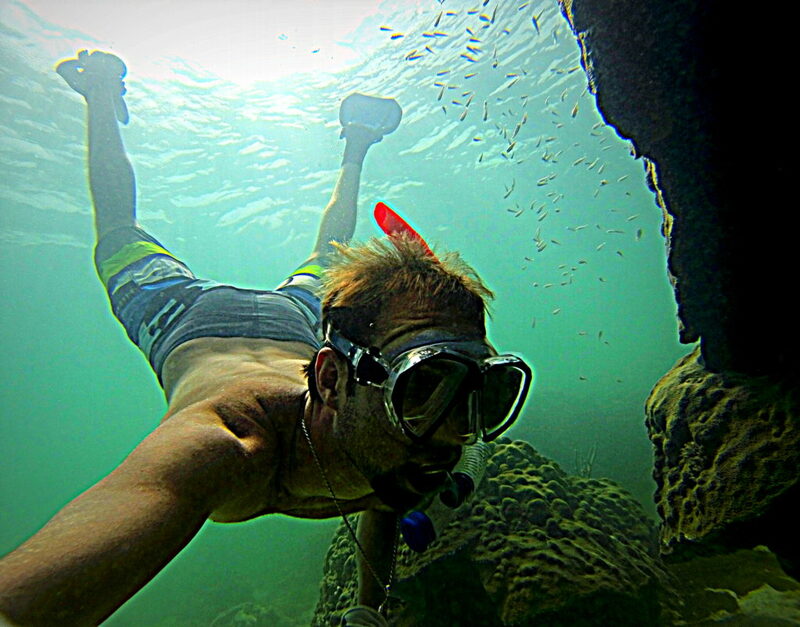 As a guide here in the Florida Keys I have taken a lot of people snorkeling for the first time and it has always been a fun and safe experience. If you aren’t a good swimmer it’s no problem, we will provide a lifejacket and some clear shallow water where you can still check out some cool coral heads and spiny lobster. The beauty of the backcountry in the Florida Keys is that we have access to waters that are almost always calm and crystal clear. There are some areas a couple miles off of Key West that are in 3 feet of water and can offer you an incredible snorkeling experience. As I previously mentioned, booking a private snorkeling charter can take us off the beaten path in search of calm, clear waters that will offer a great snorkeling experience, but may not be in the most productive fishing areas. This is where talking before we leave the dock or the day before your charter can really come in handy. Do you want to focus your day more on fishing or snorkeling? Talk this over with your guide so he can set you up for success. Typically the fishing on these trips are based around “fun fishing“. Not very technical stuff and easy for everyone to have fun and catch some fish. Sure there are some days where there is a great tarpon spot right around the corner from where you are snorkeling, but if you really want to focus your day on fishing I would recommend booking a fishing charter.